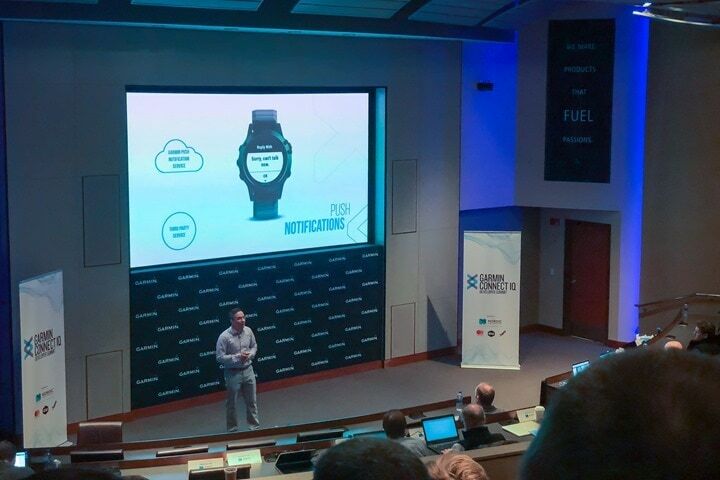 Ok, so it’s been a month since the Garmin Connect IQ Summit. 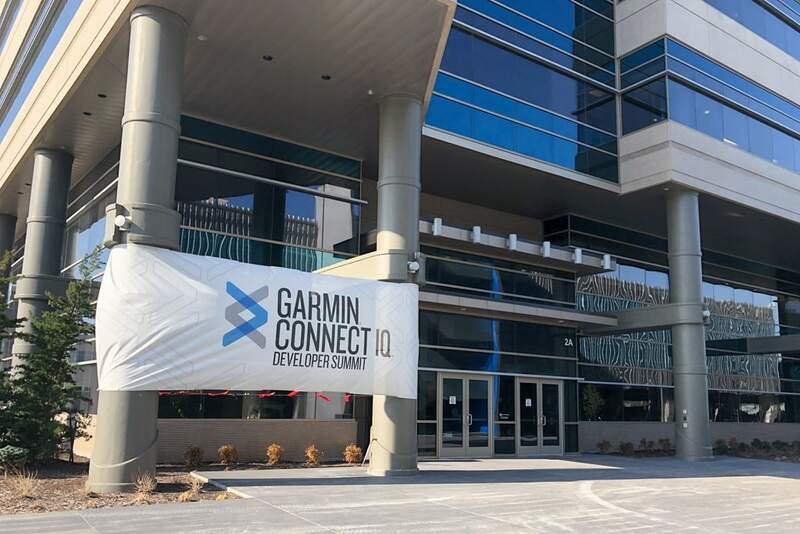 That’s Garmin’s annual conference for 3rd party developers to come to Kansas and drink all the Connect IQ juice about developing on their platform. This would be the 2nd annual iteration of the event, which is roughly formulated after the ANT+ Symposium that’s been going on for 10 years. For those in the IT world, the idea behind the Connect IQ Summit is similar to that of Apple’s WWDC or Microsoft’s Build events, both developer focused on showing the latest application building technologies. It’s also where new developer-specific features are usually announced. This year had more people than before, and definitely a bit more structure and offerings than last year. I’ll go through some of those new features down below. It’s also worth noting that since the event was held the same week as Sea Otter, Garmin also launched the Edge 520 Plus, Varia RTL-510, and Edge 130 at the start of Day 1 for the Connect IQ Summit. But that was more just a timing coincidence than anything else. 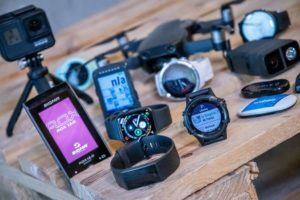 Before we get into all the details, the one headliner tidbit that’s worth noting is there are now 8 million Garmin Connect IQ devices out there, of which there have been 54 million CIQ app download instances, about half of which are watch faces (and the remainder is data fields/apps/widgets). There are currently 4,000 apps in the CIQ app store, from 1,500 developers. Also, there are 54 Skittles in a 2oz bag. For the second year in a row, I delivered the Day 1 Keynote for the Connect IQ Summit. This keynote is roughly similar to my ANT+ Symposium ones, except focused more on the apps side of things. At least in theory, I usually just end up talking about all sorts of sports tech geekery. It was live streamed via Facebook Live, for those that wanted to watch it all go down live! It’s always interesting afterwards to hear from different folks in the audience (mostly industry people), on what specific comment/portion resonates with them – or the cause they may be trying to push back at their employer. For example, if they’re trying to convince others within their company to do something specifically, they may leverage something in my presentation. For my industry-specific presentations, I very specifically structure both the words on the screen and what I say to accelerate these decisions for pro-consumer ideals. Meaning, I’m trying to structure slides and comments into very digestible and easy to re-use tidbits that support the concepts of the consumer being first, data transportability/openness being critical to success for product success, and integration between companies is required for happy customers. You’ll see this theme repeated on almost every single slide in my presentation. For those that want to download the slides, they’re located here. Oh, and a photo of me onstage taken by Jake Martin. And for lack of anywhere else to stash it, I paid for all my own travel/hotel/etc to the event, as I’ve done in the past. Now, since this is a developer conference, it’s developer focused in terms of features. It’s not as though you’re going to see tons of new consumer-focused features. Of course, in reality, these developer features are really about opening the doors for consumer features that either Garmin themselves or 3rd parties take advantage of. And in some cases, the line might be a bit blurry as to whether something is really for 3rd parties or developers, especially when you talk theoretically 3rd party apps that Garmin is actually developing on the 3rd parties’ behalf (as is common in many tech industries). In any event, here’s a bulleted list of things and some color from me. Most of this is discussed in Garmin’s official developer blog on the topic. – Music Becomes An ‘App’ Category: Previously you had ‘apps’, ‘data fields’, ‘watch faces’, and ‘widgets’. Thus, this is the 5th category. This should have been relatively obvious when the FR645 Music was released in how the music provider ‘platform’ was designed. Note that this app category talks exclusively over WiFi. And of course, Captain Obvious would point out that only one current device from Garmin has music on it – the FR645M. – 3rd Party App Music storage will increase to 500MB (for streaming platforms basically): Of course, I argued that it’s stupid to even have a 500MB limit to begin with, the devices have GB’s anyway. I don’t think this concern fell on deaf ears, so I wouldn’t be surprised to see this tweaks further. Oh, and lacking somewhere else to put it, Deezer is/was still slated for late May/Early June. 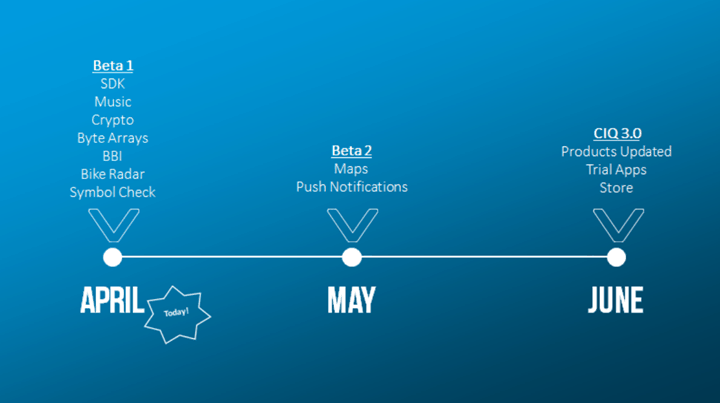 – Apps now have access to maps: This will allow a 3rd party app to utilize the onboard maps of a device. For example drawing atop the route, adding in waypoints, or other interfaces atop them. Captain Obvious is also here too, to remind you that Garmin currently only has one wearable model capable of maps – the Fenix 5X (and the derivative of it, the Descent MK1). – New actionable Garmin Push Notification Service: This is fairly dev focused, but the idea here is that apps can (if allowed) have notifications that bypass a phone notification center. For example, you could technically give kudos to friends on Strava from your wrist when a new activity upload notification occurs, without having to open the Strava app. Garmin will be rolling this out slowly at first, so it won’t be totally widespread on Day 1. – Crypto for apps is coming: This was born out of the streaming platforms wanting the music storage bits to be encrypted, but it’ll also likely start becoming more important as other 3rd party apps look to secure data stored on the wrist. Especially so as we look down the road to the inevitable medical classifications of some devices/components as various brands have talked about in this space. – HRV Data is now accessible to apps: Technically it’s beat to beat intervals, but still, this starts to open up some interesting 3rd party app integrations driven by HRV/RR data. – App Trials Coming Up: This will allow a 3rd party to ‘unlock’ their app via an external platform. The idea here is effectively allowing apps to be unlocked based on subscription to a service. Putting it another way, getting payment for apps without Garmin having to step into the messy payment arena. Now, the astute of you know this already occurs today, just less gracefully. For example, Xert’s Trainer app isn’t useful without an Xert subscription. Same goes for TrainingPeaks or Strava. The idea behind App Trials is to give those developers more control to unlock features within the app based on a token. Note this too will be rolled out slowly and with approvals, as Garmin doesn’t want consumers getting redirected to a bunch of PayPal pages for every watch face. Also, good news: This will be supported back to Connect IQ 2.0 devices. – Dedicated Connect IQ App Store App: Currently you ‘get’ apps via the Garmin Connect Mobile app. Down the road you’ll start using a separate app to do that (on both iOS & Android). There are some nuanced differences between those two platforms, primarily around the unlock bit I just mentioned due to Apple restrictions. As part of this new dedicated app coming in June, the ‘Face-It’ (which allows you to stick pictures of your cat as your watch face), gets rolled into the general Connect IQ App Store App. I’m not entirely sure I like this approach of having a separate app, but it sounded like things were starting to just get too cumbersome within the Garmin Connect Mobile app in terms of functionality. – Bike radar is now supported in Connect IQ: Many people don’t realize that the bike radar device is actually a standard ANT+ device profile type (meaning Wahoo could add support for it). But with this bullet point, apps can now start leveraging data from it too. So an app could potentially start to track the number of vehicles overtaking riders (including how many were at dangerous speeds), and plot that against heatmaps of where a rider goes. Pretty fascinating stuff here. Phew. Also, for the super geeky among you Garmin made some changes to Menu2, Byte Arrays, and Symbol Checking. All of which are detailed in the SDK you’ve probably already read if you care about this stuff. Obviously, not all features above apply to all those units (for example, no music on anything except the FR645 Music), and in some cases, updates apply to older watches. Also remember that Garmin typically announces these CIQ versions well before they have a majority of devices that support them. A rolling-forward sort of approach. Said differently, if you’ve got a Fenix 3 – you were already two generations ago from a CIQ version. Here’s a handy chart that shows V1/V2, but doesn’t yet have V3 on it. In many ways, the Connect IQ Summit follows in the footsteps of the ANT+ Symposium. Of course, that’s no surprise, Garmin plays a large part in both, and the success of the ANT+ Symposium each year (past 10 years now) makes it obvious to replicate. With the ANT+ Symposium in Fall, and this in Spring, it makes a bit of a perfect yin/yang thing. I further suspect that for most people, it’s ‘Part B’ above that’s actually most valuable about the summit – just as it is for the ANT+ Symposium. And that’s largely the case for me too. I briefly stopped in a few different technical sessions, but for the most part I was chatting with folks as part of impromptu side meetings with various non-Garmin entities, almost none of which were scheduled (the day before the Summit I spent in Garmin-specific meetings…and eating BBQ). – The variety of attendees is fascinating: There’s everything from folks making watch faces as largely a hobby, to the biggest companies in the world there. In total, there was about 130 non-Garmin attendees at the event, plus Garmin folks too. – The companies are just as varied: Some of the attendees are ‘expected’, for example, having Yelp or REI given their recent app announcements. Or FitPay, which runs Garmin’s payment processing system (Vivoactive 3/FR645M). 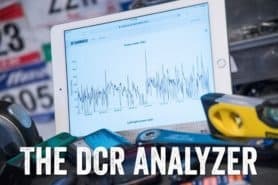 Same goes for Training Peaks, SufferFest, Xert, Quarq/SRAM, and many others – all of which are major players in the endurance sports realm, and most of which have Connect IQ apps already. – Garmin now has a dedicated music industry relationship manager. Previously they didn’t, and now they do. Not really a surprise, but does show you where Garmin’s focus is on going forward. – There were also just non-company developers: While businesses were far and away the most populous attendees, there were also a handful of local/semi-local folks who showed up and were watch face or similar developers. More hobbyist developers of sorts than a formal company. 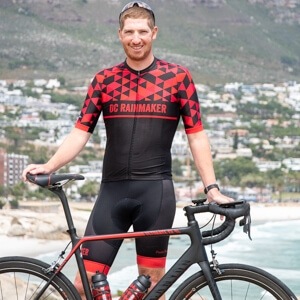 It was awesome chatting with those in this camp, and I think they also provide a more raw level of pain-point feedback to Garmin too, since they tend to have less official channels to funnel issues into than a larger entity like Strava would. 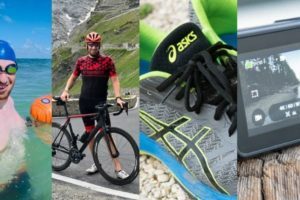 – I had lots of meetings: Not only with various companies that were there, but of course Garmin. 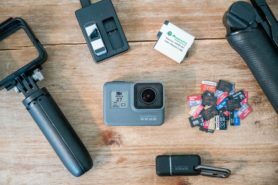 Some were about existing products, some then upcoming products (like at the time, the inReach Mini), and some just general state of the state type stuff. That’s where I’m able to funnel overall feedback from y’all, to them. This included program managers for all of their fitness/outdoor product lines, as well as their CEO. I had some incredibly frank (and long) meetings with them, especially around the state of Vector 3 and at the time the Edge 520 Plus. They probably thought I killed their kitten. In general I think Garmin’s got the right idea and formula for this. There was some discussion on whether or not it made sense to have the event in Kansas, versus some other city such as Chicago, San Diego, or otherwise. Obviously, for almost everyone Olathe, Kansas is less convenient than really anywhere else. 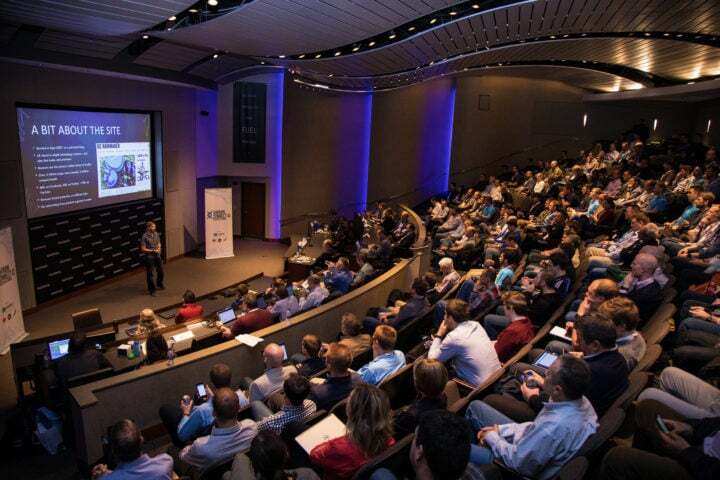 But I think the value of being at Garmin HQ is being able to pull in various Garmin employees on topics and have them there to not just present…but also listen. Listening to feedback from their developer community is key, even if the topic isn’t specifically developer focused. Sometimes it’s feature or overall device focused too. One of the things I quickly learned in my 12 years working at Microsoft was that often times larger corporate product groups didn’t want to listen to employee feedback on a given topic change, even when it was a near direct relay from what a customer was saying. 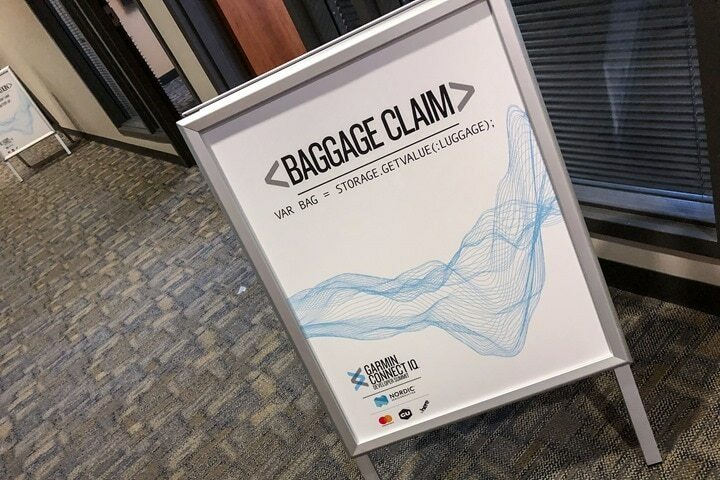 However, once you brought that customer/partner/etc face to face to Redmond, then the product team had an immediate real-life connection with understanding the challenge at hand. And as such was far more likely to fix the issue than what an e-mail could do. The same was true here as well. Thus, I’m looking forward to next year’s event for the same reasons. Also, the BBQ is really good in Kansas. Just sayin’. edge 520 plus gets CIQ3.0 but not the vanilla 520 ? Yeah, I said the same thing when I heard. I pushed back a bit, as I never got a good reason why the Edge 520 couldn’t do it since for the most part the underlying hardware is very similiar. Hopefully they’ll rethink that if possible. Good to know. Not getting CIQ 3.0 on my functioning 520 isn’t going to push me into a mild garmin upgrade, but it might steer me toward whatever is next from wahoo. I can however imagine there will be lots of original 520 owners who would consider it very bad form by Garmin not applying the upgrade to their device. If there is no genuine hardware reason, I can see Garmin losing a significant amount of goodwill here. Yeah, I don’t really get why they don’t add it in either. My guess is probably trying to focus efforts on the Edge 520+ codebase, rather than continuing to maintain the Edge 520 from a dev standpoint. Though, the opposite side to that argument is honestly there’s almost nothing that would matter on the Edge 520 anyways in CIQ3. Most of it simply doesn’t apply here, about the only thing that’s tangible is the app trials piece. HRV I suppose, but most folks are more focused on 24×7 HRV data in terms of intent with the line item. 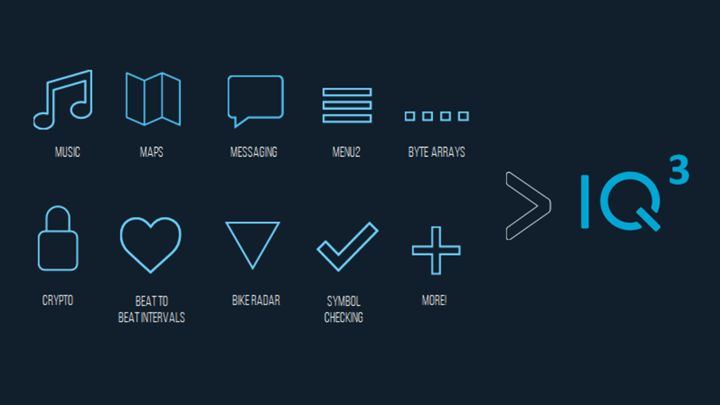 Messaging, Menu2, byte array (while a byte stream may be more for audio data the memory size limits in connect iq make it useful for everything else), crypto, bike radar. Seems like lots of stuff could be useful. Especially if you assume development resources for connect iq apps will be low so best to make it easier to target all devices and do less coding specific for each device. The 520 has way less memory to work with. Is there any reason to suspect the 520+ is an 820 with different firmware? Seems like that would greatly simplify the supply chain. Edge 820 is a touch screen, Edge 520+ isn’t. There’s other hardware similarities that basically make it 520 hardware with some minor updates (like more storage space). Touché. I should have said “innards”. It’s true the 520 has much less memory for datafields than the other devices you list, but it’s the same as the watches – for instance the 5 series and the FR 645 – which are getting the update. It could be that the Edge units need more memory than watches to render a data field, but if so it seems odd that they’ve been coping with 2.x with the same amount of memory as watches, when watches with only 16k of memory for datafields were dropped after 1.x. I think it may not be as simple as that; they dropped the Fenix 3 from v 2.0 because it only had 16k for fields, and it was not much more than a year old and that was a full 9 months before the Fenix 5 was in the hands of users (6 months before it was announced). And as above, I don’t think memory is the reason for the 520 anyway. Any chance we will see a Pandora on a Garmin device anytime soon? Don’t really care much about Deezer. While I am a Apple Watch 3 LTE user, I also have a cheap Ticwatch E which runs WearOS 2.0. For the money (< $150USD) it is a great device with accurate GPS, and the ability to use Pandora offline. It is one of the glaring omissions from the Apple Watch as Pandora has pulled their AW app altogether. I would definitely invest in a 645M if it had the ability to use Pandora offline like the Ticwatch. Not sure on Pandora – I don’t remember seeing a Pandora attendee there, but I also didn’t meet everywhere there either. I think in the U.S. anyway, Pandora or Spotify would be a must, since Apple Music isn’t possible and don’t think there are many Deezer subscribers. Would have thought they would have had more deals with streaming services up front as it is an every shrinking population that actually owns music they can transfer to a device. I know personally, I subscribe to Apple Music and Pandora Plus, so really don’t own many MP3s or AACs I currently listen to that I could transfer to a device. I use both of those services in my car that has Apple CarPlay. Seems it would make sense for Spotify/Pandora to get their apps on Garmin devices to at least cover all of their bases. Especially given Pandora already has a WearOS and Fitbit app. They’re trying to add tons of half-baked features not even addressing the elephant in the room that devices only synchronize to Connect and ignore down synchronization. I use different devices for different activities and nothing shows on my daily tracker. In 4 months period I swam once with it and did tons of indoor cycling. Yet, that swim showed for that period of time as my last activity. Same with the best efforts when I got new bike computer. New VO2max, new longest ride, new best 40k, new greatest elevation gain, etc. It seems like Garmin doesn’t understand the meaning and importance of the information being in the information technology industry. All that was supposed to happen back in April. It’s called Physio True-Up, and largely covers most of what you’re referring to (and beyond in some cases). It’s currently in beta (well, has been for a while), and is set to go public in June. Thanks Ray for the update. Will this apply to the 520, or only newer devices. I recall seeing a post a month or two back where you state strongly encouraged Garmin to consider rolling out this to the 520 as well. Or was it the extended display option … now I am getting confused. Extended Display wasn’t currently on the list for the Edge 520. I’ve argued it should be, especially because it’s really only compatible with the newer higher end wearables anyway. So that means the person has already thrown down at least $750 in Garmin products (FR935 is min $499 + Edge 520 is $249 – but if it’s a Fenix 5, it could be at least $1,000 in products). We’ll see. I made the case a few times. As for Physio True-Up, that’s a much more complex ‘thing’, mostly because different units have different features. For example, the Edge 520 (and Edge 520 Plus) don’t have some of the advanced FirstBeat metrics found on something like the Fenix 5 or Edge 1030. So there’s a bit of a ‘meshing’ that has to occur. I argued that it’s reasonable that the Edge 520 wouldn’t show metrics that aren’t on it, but it should contribute to metrics on other devices. Meaning, the underlying goal of Physio True-up was that you’d go out on your Edge device, record a ride, and have the metrics properly show up on your Fenix 5, even if you didn’t start a workout on the Fenix 5. I think they’re getting to that point. I don’t want to say yes or no, because honestly it’s a moving target (both date and features), mostly to try and it all the edge cases. I haven’t chatted with them about it since the Summit a month ago, so certainly things likely have changed. 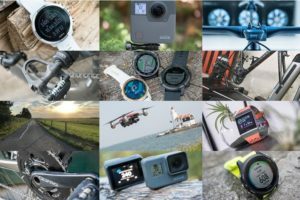 Ultimately, it might sound simple, but it’s actually immensely complex when you’re talking the number of physical products Garmin has, as well as the number of underlying features that are different on each one. If at the end of the day people feel like there’s gaps, then in my mind the entire thing is a failure (because people won’t use/care about it, thus devaluing Garmin’s competitive advantage). Whereas at the end of the day if you don’t think about it and it ‘just works’, then that’s probably the success point. Thanks Ray. Great response as usual. Let’s hope Garmin heed your sensible and well-reasoned input. Hmm…I’m not entirely sure. I’ve gotta do a ride on Zwift and not record it on my Garmin and see what happens. Yeah, the race to Strava from the 3-4 devices I was using that day on the run. Ye who syncs first gets the win! I see no reason why someone can’t create an NP/TSS/IF data field for the Edge 130. I’d be super surprised if we don’t see that happen. Realistically, if i were Training Peaks I’d do it – but perhaps they don’t want to upset the apple cart there (though, to me that’d be silly since Training Peaks is at a point were they’re getting stiff competition on all sides, and should really be focused on expanding their footprint as much as possible as fast as possible). Eli, do you know if there is an option for NP? I can’t seem to find it. They seem to have their own metrics but can’t find NP on their website. Thanks. In the past, device vendors have often used software for artificial market segmentation — holding back “advanced” capabilities even though the underlying hardware could easily support them — as a forcing function to get consumers to purchase more expensive products. I wonder how open platforms/SDK’s will play into this dynamic going forward. Good catch, added that caveat in. As do most of the Edge devices. Looks like one more reason to upgrade the Edge 1000. Still not enough reasons though. I guess I wait for the Edge 1030 plus or Edge 1040 or whatever. I just don’t get Garmin’s software / hardware strategy. The vector3 is so shi***** I am very much dissapointed with garmin for a 1000€ and the support is simply useless! Got to say, as much as I moan about Garmin and their decisions about what to work on this kind of thing will keep them on top. Some of the new features here will be pointless for a year or more, but the potential is huge for the future. The example of recording dangerous car speeds and locations is a game changer and could feed into law enforcement. In the UK we have mobile speed cameras, and the police could use this data to target dangerous roads. Those cameras need to be visible too so drivers would know they need to slow down and change their ways. That bike radar idea is awesome! A heatmap of places where NOT to route your ride. I’ve been dreaming about that for years. Edge 1000 to old? Bye bye Garmin. Almost 4 years old now? Did bringing in the Muscle Oxy profile natievely into Edge devices get discussed? I can understand Garmin not caring too much about it (Moxy being the last standing), but relying on a IQ app stinks, especially since they’ve supported it natively on some devices. Thanks Ray. 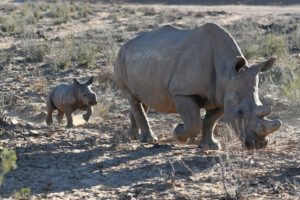 An interesting write up. I finally received new Vector 3’s today after posting a critical FB post on Garmins page. All the best. Interesting slides. I feel like what I want in a fitness watch is different than everyone else. I could care less about music or contactless payments. Unless my watch has a 4g radio that can clone my phone to a point where I can dump my phone, I will be running and riding with my phone. Thus, I would rather just use my phone for music. Plus, it spares the battery life on my device. What I want is better battery life and more improvements to the analytics. Just like you wrote in many of your reivews, this is lacking. My 935 says I am productive. But I would like something more, like direct directions on what HR range I should train on and for how long. More detailed automatic analysis of what I am doing. What love to see some more health type integration. Do something with sleep, HR, and HRV to get me some health analysis. Oh, did I say more battery life? The 935 is about perfect. Would love to see them expand the usable area to the entire watch face and dump that black bezel. You mention meetings about the ‘state of Vector 3’. Are you referring to technical issues or supply chain issues? Just on my way to pick up some Vector 3s and I’m wondering if I should abort. Mainly referring to the battery cap/pod issues, which have caused dropouts for some people (not all, my guess is single-digit percentage maybe creeping on low double-digit percentages, but that’s a lot of underlying people when you’re talking tens of thousands of units). Garmin has started to ship out (or at least, tell people they’re about to ship) new redesigned pods that should resolve that. I believe new whole units inclusive of those pods won’t actually hit for a few more weeks. So you’ll want to register your unit as soon as you get it and find out about getting the pods. 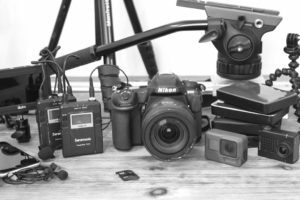 Fwiw – I’ve been using sets since last summer without issue. My most current set is from Nov/Dec – and haven’t had dropouts, except the one time I ignored the low battery warning for a few rides…and then it..well..dropped out. So no Google Fit support again. Wish google of Health devices would force device manufactures to implement certain functionality before being allowed to be installed on they OS. If so that could be useful and an easy way to import that data into the other platform. Ray? Google forcing that on apps? No. Hey Ray. Really interesting stuff on the CIQ symposium. Any plans to put up a similar post on your keynote at the FirstBeat symposium? I know they did appear to record my presentation, but I haven’t seen it published anywhere in video form. I’ll ask what plans (if any) are there. There’s a handful of bullet-point cross-over between this and that presentation, though the actual talking bits are quite different since I was speaking to a different crowd. The radar tracking stuff sounds cool. I absolutely love my Varia taillight. I wish Wahoo would support them, but I assume since they’re not supporting them that they’re coming out with their own radar units? I suspect the reason Wahoo isn’t supporting them is that Wahoo doesn’t want you giving more money to Garmin. Of course, that doesn’t hold much water, since overwhelmingly all Wahoo really needs to do is read the comments on any of the radar posts to realize the number of people that have explicitly stated they’d buy a Bolt if it supported the radar. The radar ANT+ thing is interesting. Really simple adoption I’d like to see of radar units as ANT+ connected devices is to control Ant+ cameras and take high quality still photos of every car that passes (or a burst of photos or section of high quality video). Make it a commuter spec setting. It would provide a reason to buy the radar units. With regards to to the data on traffic interactions etc, I’m waiting on the next See.Sense light units to ship from the Kickstarter as they will allegedly provide similar data. Hi, any news on new model of FR935? When and what could we expect? 945 or 935p? A bit of a different perspective from my end… Once a product works well I’d rather they leave it alone than release more features that could potentially compromise performance or reliability. My experience developing SW for consumer electronics is that it does take a good bit of effort to optimize the product for stability and performance after a major SW change. The edge 1000, for example, already seems slow to respond to touch inputs. The 520/520+ is a bit less clear as Ray had indicated they share the same base hardware with the plus getting more memory. I’m not sure why the software baselines needed to diverge. This is a bit off topic but you started it so…! The radar being able to monitor and record the closing speed is obviously quite interesting and in future presumably it would be fairly straightforward for an app to trigger an action cam to record if the closing was excessive. Thinking along those lines, would the radar’s field of view allow an app to highlight vehicles which didn’t leave a specified gap during an overtake? I know Spain has 1.5m as the minimum passing distance for example. Were any of the heads up display manufacturers there? Hoping for ConnectIQ data fields (Xert) in something like that. Keep pushing Garmin! One of my biggest pet peeves with them is when I cant export the data they show me. For activities I feel they are fine (as long as they follow standards so the activities are compatible with other platforms) but if you own a Vivo fitness tracker like me and try to export some of that glorious add-day data you will notice that you cant, you just get averages. Daily HR is an example. They show you a graph of all day, but if you export you just get what the average was. Hmm. It makes me wish I could return my device. I just hope they open up this data a little more in the future. I would like to overlay some of the fitness data with some other data I have in regard to my insulin pump and continuous glucose monitor to give my doctor a complete picture of my day. I think the iHealth Wave can do something like this but as an activity tracker I feel it is nowhere near as good as a Garmin Vivosport. Feel free to correct me if i’m wrong or if you know of a better device or way to do this. does VA3M and FR645M able to support on board mapping after user pay for those mapping app since both device has big memory space? because I do not think F5X and F5 plus series need those 3rd party mapping app as those devices have built in native mapping app. What about Dedicated Connect IQ App Store App? Are they going to release it?